A suspected drug dealer was arrested by Tagbilaran City anti-narcotics police officers in a sting operation near the city’s port area on Tuesday night. Police identified the arrested suspect as Charles Bryan Dolauta, 27, a resident of Poblacion 1 in Tagbilaran City. 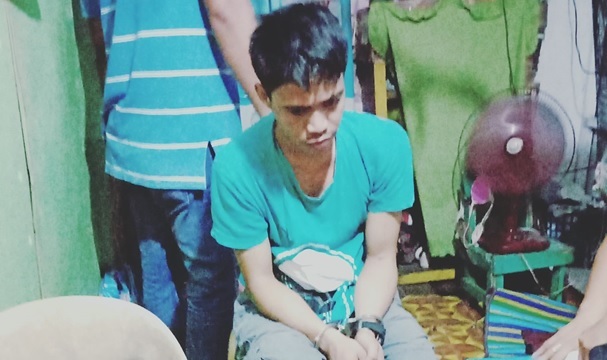 Dolauta was arrested by operatives of the City Drug Enforcement Unit after he was allegedly spotted by officers of the police’s intelligence section as he was selling illegal drugs near the Lite Port Center. He was subjected to a buy-bust operation in his residence wherein he allegedly sold shabu worth P500 to a police poseur-buyer. Police immediately arrested Dolauta after the staged drug transaction and found in his possession seven more packets of suspected shabu. The seized drugs were estimated to be worth P10,000, police said.